Presidents have been known to take on hobbies after their tenure in the White House is over -- like George W. Bush and his paintings. Former President Jimmy Carter has started an interesting habit when he flies: shaking everyone's hand. 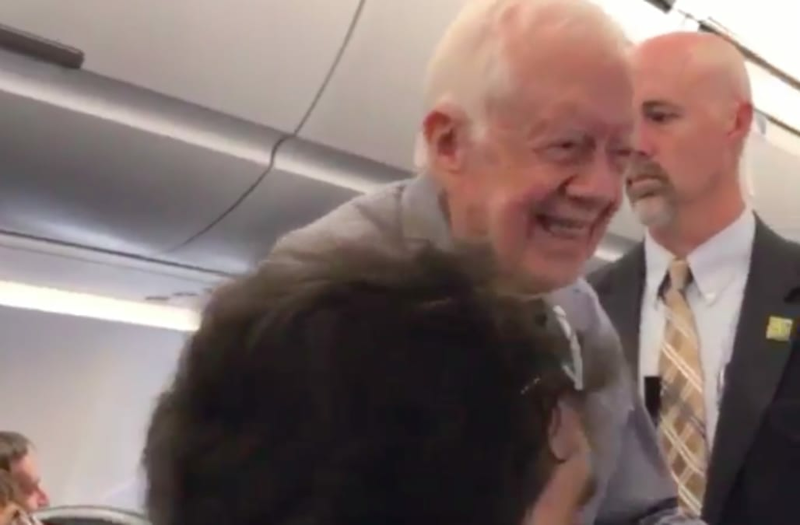 The Hill reported that Carter did this on an Atlanta to Washington, D.C. flight and January, and last week the 92-year-old did the same thing. "His enthusiasm was authentic and humble, in a way that made things feel less heavy for a moment," Sheffield told WSB-TV. Carter's actions also captured hearts on Twitter, where the video received over 13,000 retweets and 35,000 likes.